The wonderful results for some speculators doesn’t negate the high failure rate. Far too often, financial speculation is a losing proposition for most people. Whether it’s betting money on a promising start-up, lottery tickets, a can’t miss I.P.O., or a mutual fund with a great historical track record, the final result of most speculation is financial pain. Understand the difference between speculating vs. investing. It’s surprising how many investors, both professional and non-professional, still can’t distinguish the difference between investing and betting. Although both activities may seem like they are the same, it’s just not so. “Speculation is an effort, probably unsuccessful, to turn a little money into a lot,” wrote Fred Schwed Jr. in his classic Where are the Customers’ Yachts. In contrast, “Investment is an effort, which should be successful, to prevent a lot of money from becoming a little.” In monetary terms, if you’re trying to turn $1,000 into $25,000 in the course of a year, you’re speculating. On the other hand, if you’re trying to get a $1,000 return on your $25,000 by purchasing laddered bonds, you’re investing. The odds of success in the first endeavor is approximately 25-to-1 (low) whereas the second one is roughly 1-to-25 (high). Speculate with money you can afford to lose. No matter how you cut it, the odds of speculative success – regardless of the asset type or asset class – are stacked against you. The rough translation is this: the odds of you losing your capital are both high and probable. Yet, the danger of financial speculation is not simply losing money – it’s much bigger than that. The perilous threat is losing money you cannot afford to lose. And that’s the trap that many people fall into, especially degenerate gamblers who try to bet themselves out of bankruptcy. 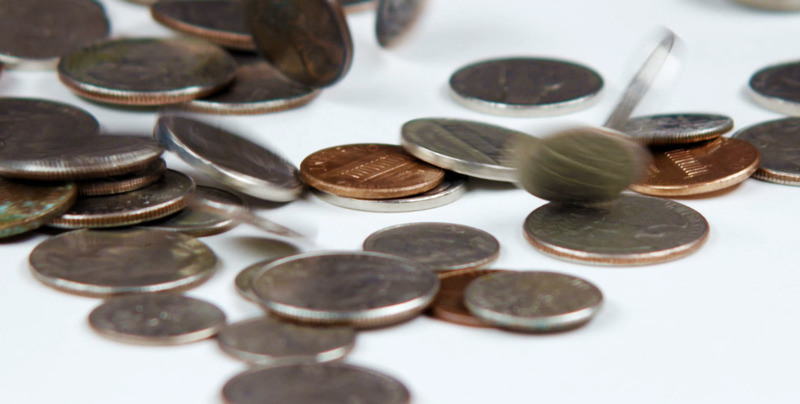 Bottom line: Speculating with money you can’t afford to lose is a great formula for poverty. If speculating for profits is your main (and only) goal, you’re doing it wrong. The sad and singular goal for some individuals is to secure wealth through financial speculation. For example, certain people conclude they’ll never accumulate wealth by saving and investing money the old-fashion way. They want quick profits. So whatever little money they have, they spend by gambling on lottery tickets or other speculative ventures instead. Financial professionals are not immune to this syndrome. If you’re going to speculate, only and always do it inside your non-core portfolio. The proper and only context for financial speculation is within a person’s non-core investment portfolio. 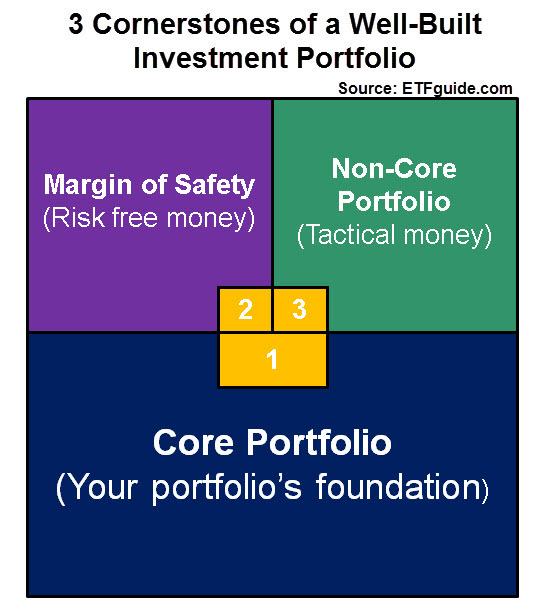 As we teach in our online classes, this is one of three containers (see image “3 Cornerstones of a Well-Built Portfolio) within a person’s total portfolio. Unlike the other containers, the non-core portfolio is allowed to be tactical and even speculative with its approach. That means it can invest with leverage, it can go short the market, or it can invest in un-diversified highly concentrated or speculative assets. Simply put, it’s OK to speculate inside your non-core portfolio! Why? Because it’s all about context. Think about it this way: If a gamble within a person’s non-core portfolio doesn’t work out, the worst that can happen is they’ll lose money. The silver lining, if there is one, is that losses from financial speculation were contained to the non-core portfolio! Contrast this with the person that makes the fundamental mistake of speculating with their entire portfolio. When they lose money, and the probability is high, their losses are totally un-contained. In warfare, when you get killed, there’s no tomorrow. And the same outcome awaits those who don’t abide by the rule of keeping financial speculation limited to their non-core portfolio. Is “Saving More Money” Always the Cure?